Think about the largest storage room in your home. 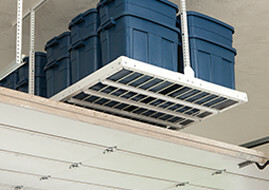 Chances are, your garage holds the bulk of your equipment and tools. 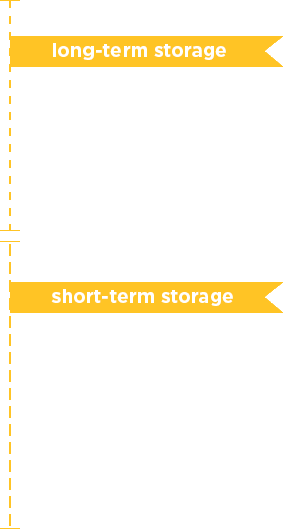 With the accumulation of these household investments, there’s also a demand for a reliable storage system to keep things organized. We bring you the best garage storage in Des Moines, made from the strongest steel on the market. Accessible: Our shelving, cabinet, and overhead storage systems make it easy to find the tools you need, right when you need them. With varying depths and accessories, you can change the way you store for varying seasons or hobbies. Space For More: Just by installing our systems, you can increase the space in your garage by 50%. Make room for new sporting gear or your next improvement project. 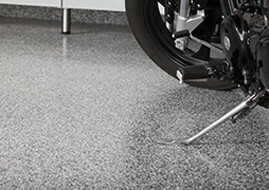 We create garage storage Des Moines residents depend on to expose wasted floor space. Affordable: Depending on what you like to spend a little more on, your garage may fall to the bottom of the priority list. However, when you invest in Monkey Bars, you save money on future shelving costs or replacement systems. Not to mention, we back our products with a warranty that ensures the products you love will last. Monkey Bar shelving is our most popular storage system. We have specifically engineered our shelving to hold up to 1,000 lbs every 4 feet. 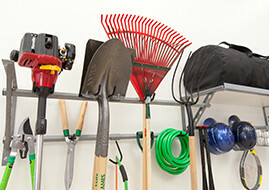 Stack items vertically for maximum use, or hang larger tools and bags on our hooks below the shelf. Whatever items you need to store, we promise sturdy garage storage in Des Moines homes. We also design a custom solution based on your needs, budget, and space. Our professionals will first come to your house and consult you on what will be best for your space and garage storage. After we will send you a drawn up plan of your new system. After approved by you, we will schedule a time for installation and get started on getting you the space that you need. Layering your storage is a very effective way to make it all fit and look organized. 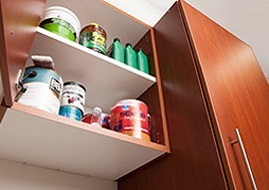 Store those long-term items up above on racks and shelves, while storing short-term items in cabinets or hung on the wall. You can maximum your space by taking advantage of your walls and ceiling, leaving your floor clear and clean! What are you waiting for? Now’s the time to get serious and figure out how you can get your very own system!